Friendly postage 'til Aug. 30th. HERETIC boxed set. *Double LP counts as 2 vinyls. 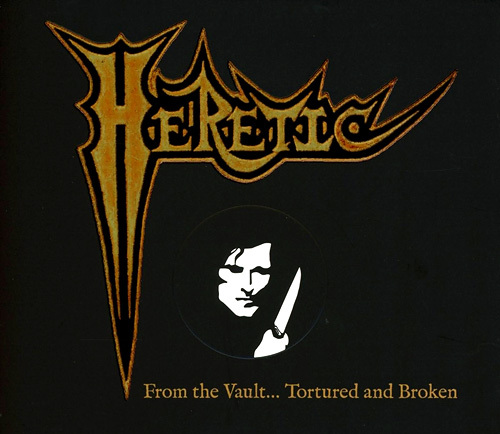 Additionally, we have stocked 10 HERETIC "From the Vault... Tortured and Broken" boxed sets containing 2 CDs ("Breaking Point" plus 4 bonus tracks and "Torture Knows No Boundary" plus 9 bonus tracks) and 1 DVD (live @ Country Club 26/12/85, live @ Jezebels 1986 and bonus video clip). You can order them from our SHOP page for 17,00 Euro only. In the case of this item, we ship it with jewel cases, sealed, and the shipping cost is only 2,50 Euro within Germany, and 3,50 Euro for the rest of the world.